Queen Mary University of London is one of the UK's leading research universities, committed to improving social justice and achieving the previously unthinkable. A Russell Group university based in east London, we teach across the full disciplinary spectrum. With staff and students from over 160 nationalities, we are one of the most diverse higher education institutions in the world. Queen Mary is currently ranked at 14th in the UK and 5th in London (Times Higher Education World University Rankings 2018). Our Summer School programme features a broad range courses, put together by our world-class academics in a variety of disciplines. You can specialise according to your interests, knowing that each session will be thought-provoking, challenging and exciting in equal measure. Session 1 of the Summer School takes place from 1 July to 19 July 2019, and session 2 takes place from 22 July to 9 August 2019. Students are welcome to attend both sessions, so if you’d like to combine an interest in particle physics with your love of horror films, you can! See what our students thought of their Queen Mary Summer here! Discover a hidden London - Go on field trips which will enhance your teaching and bring an element of tangibility to your course. Explore London in a way that most tourists - or even Londoners - don't normally get to. Be taught by experts - Learn from internationally respected academics who are experts in their subjects. Call our campus your home - Live and study on our Mile End campus, the largest self-contained residential campus in London with a dedicated team to help you make the most of your stay with us. An academic adventure like no other: you will meet and discuss your subject with some of the world’s leading experts. Use the credits achieved on courses towards your home degree, making your summer really count. Click here to find out more. Enhance your employability - according to Universities UK, a study period abroad 'enhances future employability and academic success’ (2017). Gain new perspectives on your academic subjects that you can take back to your home university. Make friends from across the world and make memories of your international experience that will stay with you for the rest of your life. The course was structured in a very good way which was very helpful. The field trips were one of the best parts of the whole course. Studying something in theory and experience the practical side of it just gives you the perfect insight of your course. It was the best part and made things clear. The professor always motivated us to do better, that’s something I appreciate. 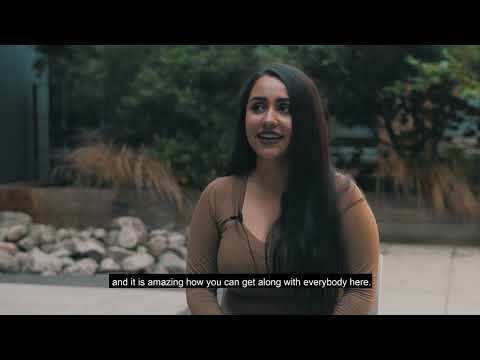 Studying at the Queen Mary Summer School not only offers you the opportunity to study at one of the top universities in the UK, it also gives you the chance to experience life as a Londoner. As a Queen Mary Summer School student, you will be offered a place on campus in our comfortable accommodation. You’ll have an en-suite single room in one of our self-catering flats, so you can meet other students and make friends while you are here. Our modern campus is a peaceful oasis in a busy city, set beside the Regent’s Canal, looking on to Mile End Park. It has a friendly, relaxed atmosphere: with plenty of greenery and attractive outdoor spaces here, so it’s easy to forget that you’re in the middle of a busy capital city. We hope that it will soon feel like your London home. Our campus has a friendly community of staff and students, and is noted for its safety and convenience. You’ll just be a short walk away from your classes. On campus, we also have two grocery shops, four cafés, two restaurants, a bar, a health and fitness centre, a bookshop and a bank. As a Summer School student, you will have full access to all of these facilities. Summer School accommodation is managed centrally by the Queen Mary residences team. If you indicate that you would like on-campus accommodation on your application form, you will be added to a reservation list. Once you have accepted your offer and paid your tuition fees, you will be contacted by them with details of how to book a room on campus when booking opens in mid-March.